Today I am going to review Liquid matte lips lipstick in the shade 008,Arabian Night by Gosh Cosmetics,Copenhagen.The liquid matte lips lipsticks were launched recently and are a part of SS'17 release. The GOSH COPENHAGEN brand offers a large selection of products from different products categories: Cosmetics, Fragrances, Hair Care, Face Care and Body Care. We also produce Private Labels such as Pudderdåserne, INK by Dennis Knudsen, Isabell Kristensen, and Caroline Fleming. Our head office is in Denmark where all the product development, production and distribution takes place. We see no better way than overseeing all the steps ourselves. This way we ensure that all the products under the brand GOSH Copenhagen correspond with our identity and values." LIQUID MATTE LIPS ensure an easy outline application and deliver a long lasting result with an intense, pure matt, colour pay-off. The formula in the product are designed to make the product stay put, once applied. LIQUID MATTE LIPS will not smudge out when temperatures rise. 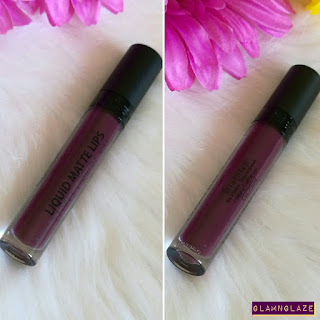 Active ingredients in the LIQUID MATTE LIPS increase the volume of the lips. LIQUID MATTE LIPS stays all day with a pleasant wearing comfort. Dandelion and LiPerfection has been proven to increase the instant blood flow in the capillaries after one application, which as a result increases the volume of the lips. Dimethicone.Isododecane.Methyl Methacrylate Crosspolymer.Trimethylsiloxysilicate.Polyglyceryl-2 Triisostearate.Polymethylsilsesquioxane.CI 77891\Titanium Dioxide.Silica Dimethyl Silylate.Isopentyldiol.Brassica Alba Sprout Extract.Taraxacum Officinale Leaf Extract.Vegetable Oil.Oryza Sativa Bran Oil.Rhus Succedanea Fruit Wax.Oryza Sativa Bran Wax.Helianthus Annuus Seed Wax.Glycine Soja Oil.Caprylic/Capric Triglyceride.Pentylene Glycol.1,2-Hexanediol.Aluminum Hydroxide.Tocopherol.Ascorbyl Palmitate.CI 19140\Yellow 5 Lake.CI 15850\Red 7.CI 42090\Blue 1 Lake. 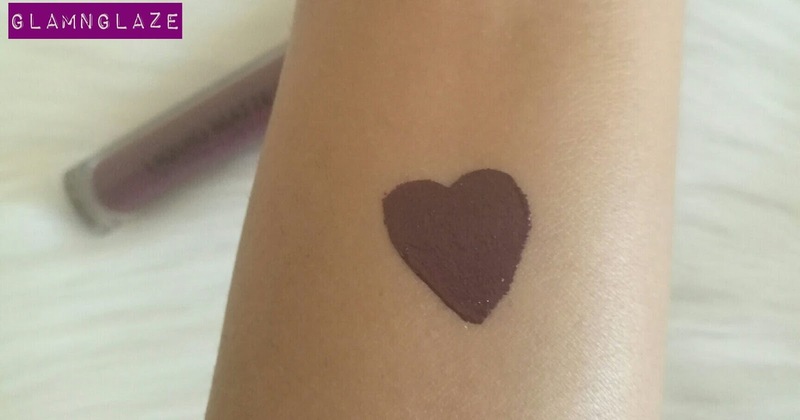 Shade: The lipstick is in the shade Arabian Night.It's a deep purple-plum-colored shade.Love it. We can check out the shade of the lipstick easily and in case the product is getting over.We can get a new one on time! passes...95% dry...i.e not a complete-matte lipstick which I am ok with. Any pigmentation on the lips can be hidden easily using the lipstick.Pigmented lips shall rejoice! 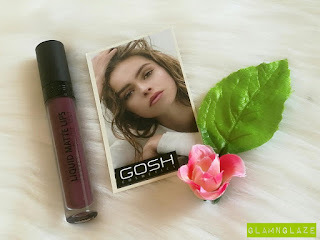 Very good quality lipstick I must say! 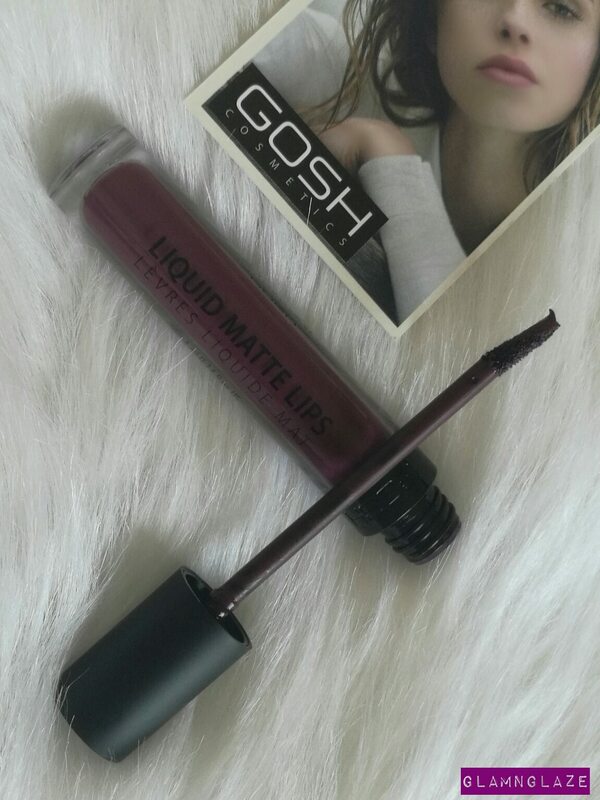 I highly recommend this to girls who are looking for a liquid matte lipstick with a demi-matte finish and that keeps lips hydrated unlike the complete-matte moisture-sucking liquid lipsticks! Yes,may be some other shade from this collection. Note: Due to the demi-matte finish of the lipstick,the product gets transferred everywhere easily be it cutlery or anything. What is dandelion? Dandelion is a flowering plant that has long lance-shaped leaves that are deeply toothed and has orange flowers that matures into a whitish globe head.